There is no question that online ordering is here to stay. Online ordering offers convenience for customers and creates a catalyst for increasing business. Because of the growing popularity of online ordering, new trends are developing within the restaurant industry. Among these trends are the disappearance of phone ordering, data used as a predictor and increases in delivery orders. 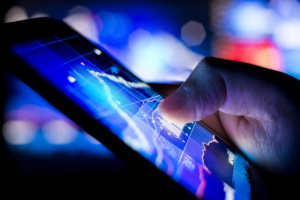 Here are some of the most current trends coming to online ordering. One of the primary changes brought about by online ordering is the near-elimination of phone ordering. The ease of ordering online is so convenient for customers, it seems likely that phone ordering should slowly disappear in the coming years. The facts support this trend. In 2010, companies took more than 1.39 million phone orders. By 2015, the number shrank to 1.02 million. In that same time period, online ordering doubled from 403 million to 904 million orders. Many restaurants that have incorporated online ordering have seen phone call ordering decline by at least 50 percent. This enables restaurants to cut their staff and focus on great food as opposed to making sure to get orders right during peak times. Restaurants can encourage customers to order online by customizing a phone message that directs guests to their mobile websites to place an order. Couple this with taking a payment online and you double the convenience for your customers. Restaurants reduce errors with online ordering. Phone calls can produce ordering errors thanks to several factors. Background noise, bad connections and language barriers can cause miscommunication. Online ordering allows customers to easily personalize their orders. There is no more having remind a cook about a customer’s peanut allergy. Staffers become free to do what they do best for your restaurant, which is interacting with customers, cooking and helping in-house customers place orders. Restaurants may also put formulas in place to track data they derive from an online ordering interaction. These formulas track information, such as what and when a customer orders. Restaurant owners and managers utilize additional information through online ordering, including how much a customer spends weekly and what a customer orders frequently. Online ordering modules offer suggestions to returning customers by tracking their order history. This data continues to make online ordering simpler and more efficient. In populated areas, restaurants are seeing an increase in deliveries. Increasing delivery services making it more convenient for customers who order from your restaurant. This opens up an entirely new niche of customers you may not have yet. Consider diners who want to eat in the comfort of their own homes or who don’t want to leave the office to find lunch. 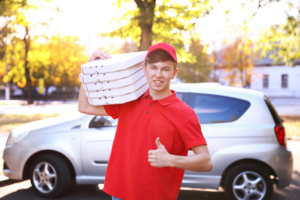 Whatever the case, a delivery service can expand your customer base and add value. It again is all about convenience, and it all starts with your online ordering capabilities. Competition for customers continues to grow due to online ordering. The good news for customers is that restaurant pricing may drop because of it. Engaging customers includes offering instant discounts and promotions, which enable establishments to retain and reach new customers. All of these factors drive customers to order online more frequently than before. All you have to do is give them an incentive. When customers save money by going to online ordering, you save money as well. A majority of the American population uses social media on a daily basis. It’s only natural that restaurants look to social media to drive their online ordering. Domino’s Pizza, for example, has captured this trend by allowing its customers to generate a “Pizza Profile”. This feature allows customers to place an order for a favorite pizza by just texting a simple emoji. Talk about easy and effortless! As amazing as the feature appears, it is really limited to small restaurants or restaurants without a lot of food styles. The feature gives the customer the ability to order a pre-set meal from a restaurant with a basic menu. This easy-ordering feature may have more adopters, but it will probably not gain widespread use. Online ordering is still evolving. What’s on the horizon? What about driverless delivery cars? It may happen! Google is closer than ever to perfecting its self-driving car. Sensors aboard the vehicle allow it to detect people, other vehicles and objects that are over 200 yards away. Of course, Google is trying to develop these vehicles to make our roads safer. However, we could see them delivering our pizza! Amazon is beginning to look at delivery with drones. Amazon have introduced Amazon Prime Air, which guarantees to deliver packages in 30 minutes or less. So place your order online and step out your door and look to the sky for dinner! Domino’s Pizza uses brand-new, custom-made delivery vehicles that have a built-in pizza oven in the back that keeps food warm on the way to a customer’s house. Once these DXPs become automated, there’s no stopping hot and fresh pizza from reaching millions of front doors! Orders 2Me offers customers a seamless system to incorporate into your present POS system. Our system allows for online ordering and payment options that directly link to your POS. Contact us so that we can assist you in catching the online ordering trend and keep your restaurant business flourishing. If you are not on board yet, see if online ordering can benefit your business growth. If you are among the four out of five restaurants that agree the new technology is helping their bottom line, look for these new trends to take your restaurant to the next level.